China’s Consumer Price Index and Producer Price Index data for December are due on Wednesday, 10th Jan. Though there were no long holidays in China in December, the holiday atmosphere elsewhere in the world probably fuelled additional spending in China. 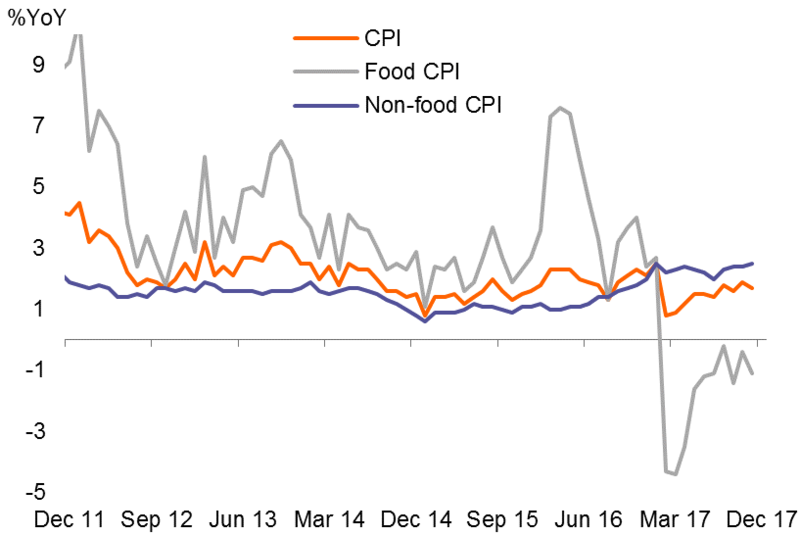 We expect this to drive the CPI higher, especially the non-food items, to 1.9% year-on-year in December (same as consensus) from 1.7% in November. We forecast that PPI inflation will slow from 5.8% year-on-year in November to 4.7% YoY in December (consensus 4.8%). The main reason is the high-base effect from last year. 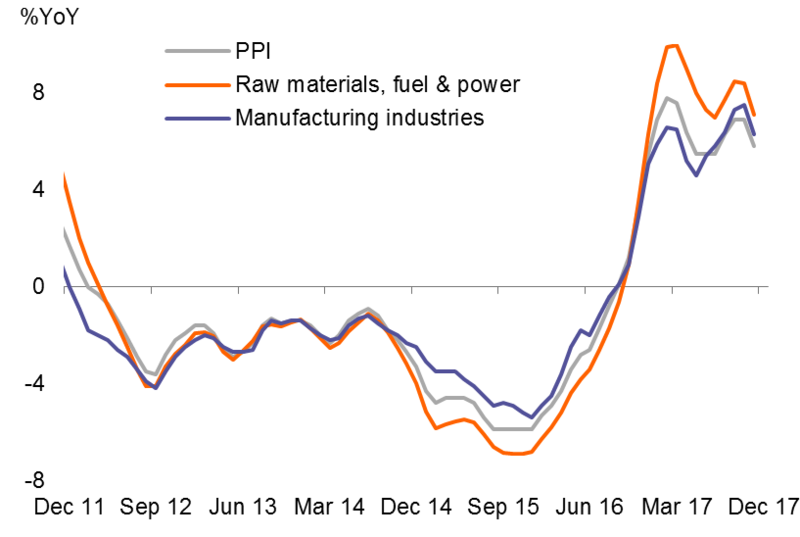 Among the main PPI components, raw material prices, especially coal and copper, stand out because they continue to grind higher on a monthly basis. The government has tightened regulation on the production of these raw materials to protect the environment, sending prices higher. The authorities are likely to implement more environmental protection policies in 2018 as this becomes a greater priority for the government. This is likely to result in sustained upward pressure on raw material prices, with implications for corporate profitability. Producers of the raw materials will enjoy higher profits while companies using these raw materials as inputs will suffer from higher input costs.